Spring River is known to be chilly, every hour nine million gallons of 58-degree water is hard to ignore. 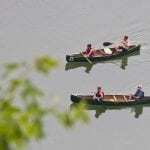 The 17-mile stretch between Mammoth Spring State Park and Hardy is usually where canoe trips take place, a historic town in northern Sharp County. This specific canoeing area is best used and recommended for beginning to intermediate canoeist. When floating the first half of this section begins at the base of Dam #3, a former hydropower structure located south of Mammoth Spring. 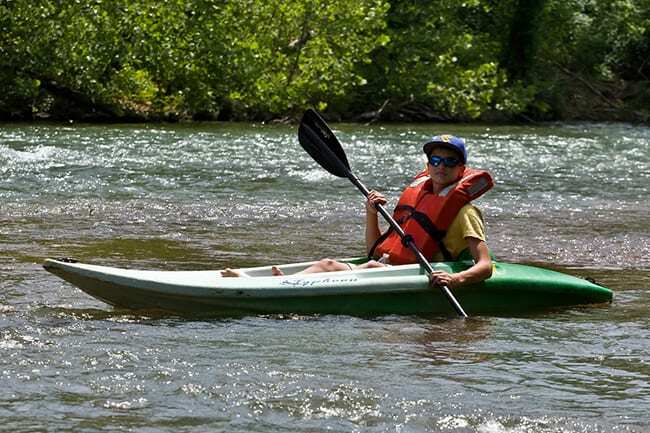 If you are floating rather in a kayak, canoe, or just in a tube, this nine-mile portion you can look forward to a number of rapids, and even a few small waterfalls. The second half of the Spring River’s upper portions begins at Many Islands which totals to about eight miles down stream at Hardy Beach, a public park below the U.S 62-167 bridge on the stream’s southwest (right) bank. This accessible area as well has rapids, waterfalls but aren’t as frequent but the Spring River remains “floatable” for another thirty or so miles below Williford. 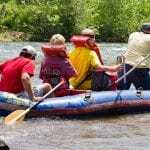 Due to the constant flow from Mammoth Spring it makes the Spring River a dependable year-round stream for floating.